Here’s a Purex Coupon available to Print. Print and Save $1.00 Off 2 Purex Laundry Detergent Coupon! Here’s an XTRA Coupon available to Print. Print and Save $1.00 off 2 XTRA Laundry Detergent Coupon! 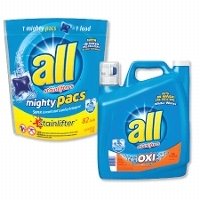 Print and Save $2.00 off All mighty pacs 50ct or larger Coupon! Here’s a Purex Crystals Coupon available to Print. Print and Save $3.00 off (2) Purex Crystals Fragrance Boosters Coupon! 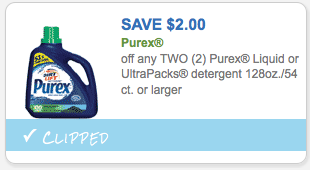 Print and Save $2.00 Off 2 Purex detergents Coupons!